Golden Future South Africa is an outreach project aimed at improving the lives of the people of Khayelitsha, a township located on the outskirts of Cape Town. 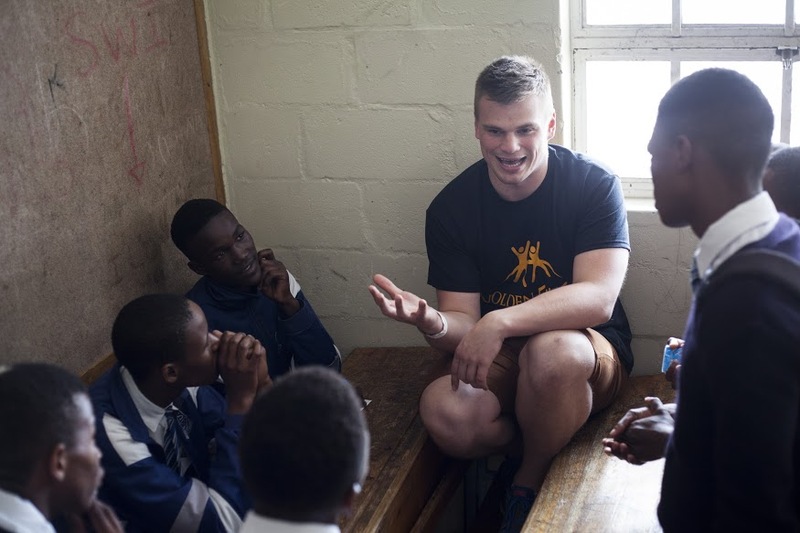 With chapters located in Windsor and Toronto, Canada, our mission is to inspire the people of Khayelitsha to achieve their full potential, through the power of education. Interested in supporting our efforts? Follow the secure PayPal™ link below! Our 3 educational modules—Health, Professional Development, and Life Skills— are tailored to equip the learners of Khayelitsha with the knowledge to build healthy, happy and successful lives. Businesses in Khayelitsha face many unique challenges. Our business experts collaborate with the local entrepreneurs of Khayelitsha to provide strategy and donations that help grow and sustain the local economy. Our close relationships with community leaders of Khayelitsha allows us to appraise the most pressing needs of each school and provide donations that allow students to get the most out of their education. Have you ever wished that you could do something incredibly meaningful? GFSA provides a once-in-a-lifetime opportunity to pass on vital knowledge to the youngest generation of up-and-coming South Africans. Golden Future South Africa has the infrastructure to help you step outside of the box and be part of change in creating a better world. Broaden your horizons, travel abroad, and immerse yourself in a new culture. Share your skills and passion with others, while helping make a difference in your world. Will you choose to become a part of this movement and forever alter your view of the world? Apply your human body expertise to strengthen health literacy. Stimulate engaging discussion on sexually transmitted infections, pregnancy and other health-related subjects. Bolster the entrepreneurial community. Help share business strategies to kick-start entrepreneurial spirit. Speak up for what is right. Start the classroom conversation about self-control, communication and a responsible lifestyle that will build a stronger sense of community. Help future generations thrive. Make the future Golden. Copyright Golden Future South Africa 2017 ©. All Rights Reserved. Produced by Pi Web Design.